If your pets will be traveling anywhere outside the United States (Canada, Caribbean, or Europe) you must have a health certificate specific for that country. Every country has different requirements and it is your responsibility to be aware of rabies vaccine requirements, possible quarantine requirements or other legal issues. PLEASE don’t wait until the day before your flight or we will not be able to help you. 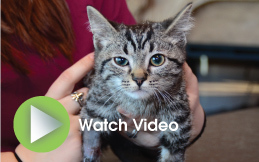 Call Jefferson Animal Hospital if you have additional questions 502-966-4104. 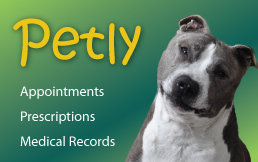 An appointment for an exam of your pet is required to fulfill Health Certificate requirements. The more “advance work” that you perform will make it much less expensive for you as we help to complete this process for you. The Member States of the European Union are: Austria, Belgium, Bulgaria, Croatia,Cyprus, the Czech Republic, Denmark, Estonia, Finland, France, Germany, Greece, Hungary, the Republic of Ireland, Italy, Latvia, Lithuania, Luxembourg, Malta, the Netherlands, Poland, Portugal, Romania, Slovakia, Slovenia, Spain, Sweden, and the United Kingdom. Many airlines require documentation within 5-10 days of travel or less due to weather conditions and risks to animals. Every airline has different requirements - clients should contact their airline to be sure they are meeting all requirements. It is also best to always check the USDA website each time a pet travels out of the country- some countries change their requirements often.